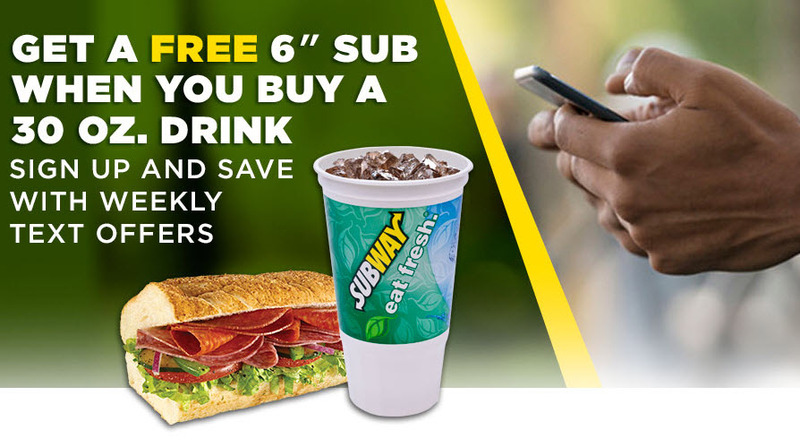 Grab a FREE 6-inch sub when you buy a 30-ounce drink from Subway. To get this deal GO HERE and enter your cell phone to sign up for weekly offers and they will send you a coupon. Then go here to learn more. Never miss a deal subscribe to our daily newsletters by CLICKING HERE Also, don’t forget to follow us on Facebook , Twitter, and Instagram! !